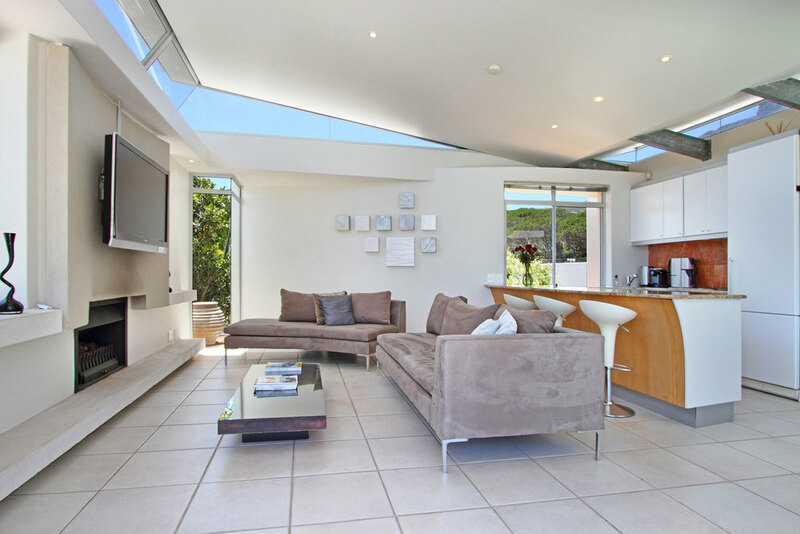 Lions View Penthouse on the upper part of the property features it’s own separate entrance, two spacious double bedrooms, two luxurious bathrooms, a lounge and fully equipped open-plan kitchen. The unique design of the roof makes the most of the majestic mountain views. The balcony with its solar heated plunge pool is the ideal place to enjoy the sun, panoramic views and the soothing sound of the sea. Size: 140 sq.M (1500 sq. feet). Bedrooms: 2 Bedrooms, both with king size beds and flat screen TV's. Bathrooms: One large bathroom with shower and bath plus one luxury bathroom with walk-in shower. Kitchen: Open plan fully equipped and fitted: dishwasher, oven, fridge, freezer, Nespresso coffee machine and small appliances. Living: Spacious lounge with dining at kitchen counter. 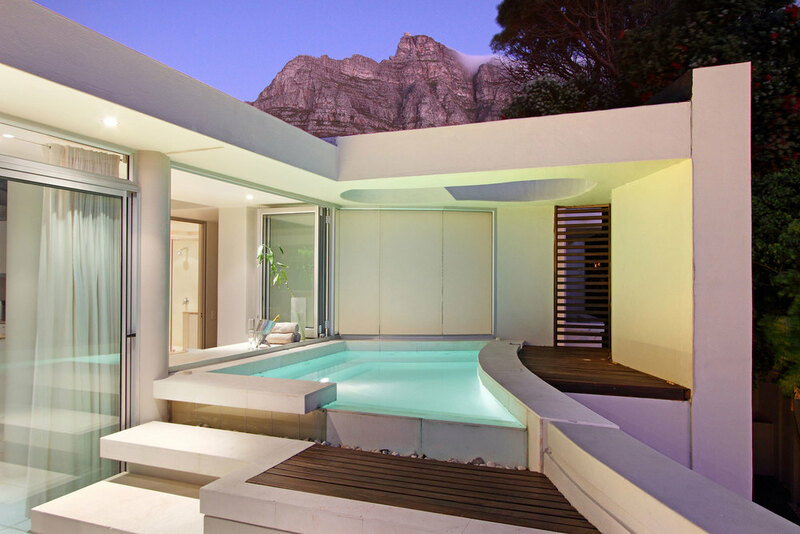 Outdoors: Large balcony with solar heated plunge pool, loungers, BBQ. Ideal for tanning and outdoor dining. Electronics: Large flat-screen HD TV with full DSTV (satellite) package, DVD player, iPod docking station. Cooling & heating: Air-conditioning & under-floor heating is provided throughout the unit. Gas fireplace for those chilly winter evenings. Views: Magnificent sea and mountain views. Garage: Use of off street parking bay in front of house. 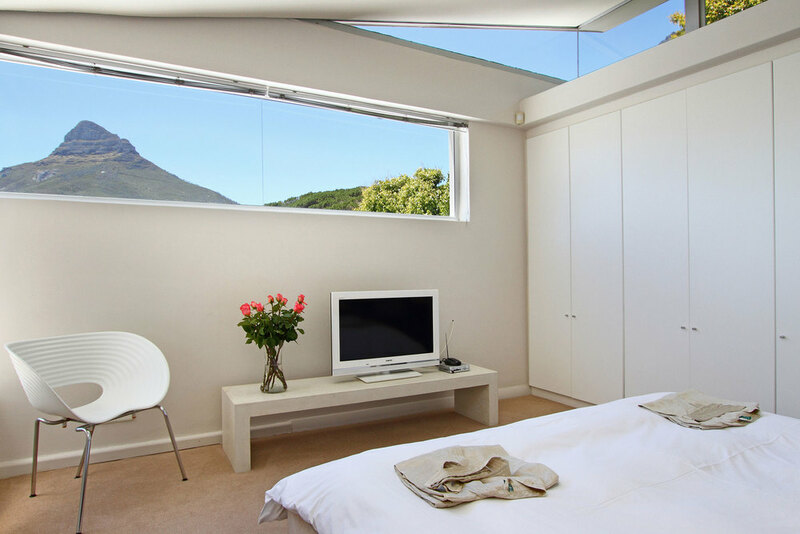 Position: 5-minute walk to Camps Bay beach - cafes, restaurants, bars and Shops. Please note: Access to the Penthouse is via 3 small flight of stairs.